Attic Clean Up & Insulation Removal Columbus, Oh. 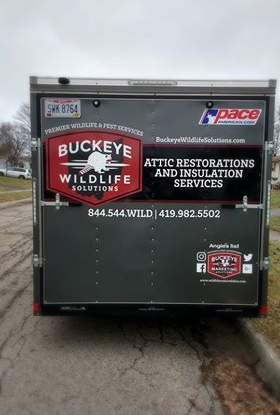 Buckeye Wildlife Solutions is the best in the business. Watch for our trucks! Do you need to have your attic cleaned out for any reason? 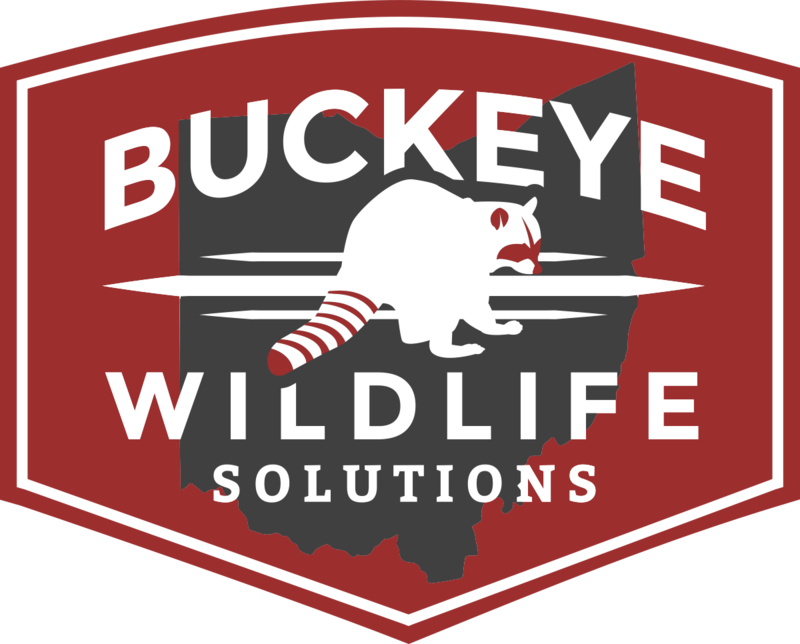 Call Buckeye Wildlife Solutions Of Columbus, Ohio. We provide our customers with professional attic restoration services in Columbus, Dublin, Westerville, Delaware, Pickerington, Marysville, & surrounding areas. Our specialized equipment gets attic restoration jobs done very quickly and professionally. You can trust BWS to get the job done right. If you've had animals in your residence, they likely left some unwanted material behind. We are experts at identifying the problem in an attic and solving it with proven methods to rid the smell, and to insulate up to state code. This will help save money on heating costs during the winter. BWS pro's will at times recommend jobs be covered through homeowners insurance. Many times insurance will cover the process and save the homeowner a bank load of money. Insurance may or may not cover the job depending on many factors. Insurance will usually cover the attic restoration process if the animal entry was opened due to an element of weather, such as a wind storm or a tree falling on your house. Other than factors of weather, insurance will still cover attic restoration if you have a good insurance policy. Generally speaking, it's better to pay your deductible and accept the future increase in cost of insurance rather than paying out of pocket. Dublin, Galloway, Plain City, West Jefferson, Powell, Hilliard, Upper Arlington, Buckeye Lake, Minerva Park, Lincoln Village, Westerville, Gahanna, Whitehall, Pataskala, Canal Winchester, Carroll, Lithopolis, Granville, Blacklick, Blacklick Estates, Newark, Hebron, Heath, Pickerington, Reynoldsburg, Grandview Heights, Bexley, New Albany, Johnstown, Worthington, Sunbury, Galena, Africa, Lewis Center, Delaware, Marysville, Urbana, London, Ashland, Mansfield, Mt. Vernon, Bucyrus, Marion, Mechanicsburg, Irwin, Urbana, & The Rest Of Central Ohio. When you've had raccoons, bats, birds, or squirrels in your attic, its a good idea to consider having an attic restoration job done. These animals can carry harmful disease & parasites in their droppings, which is why you don't want it inside your house. Attic restoration is priced out from examining many different things about the given attic. The cost is generally measured by square footage of the attic, but price per-square-foot can vary depending on several factors including depth of insulation, accessibility of the attic, amount of droppings covering the attic, and several other things. We go through a checklist of every aspect of the job during inspection. Even if there is not a lot of waste in the attic, some people find it necessary to get everything taken out & replaced, just to be safe. But it's always up to the customer, we just relay the facts. Wildlife Feces Removal, Contaminated Insulation Removal, Sanitation, & Insulation Replacement. Animal waste clean up and removal is a common service we provide to homeowners, commercial buildings, churches, and other structures around Columbus Ohio. Many different types of bacteria can develop in animal feces that can be very threatening to human health. Bat guano & Bird waste can cause a disease known as histoplasmosis, while raccoon and other animal's waste commonly carries round worm eggs, which can cause blindness and parkinson's disease. Clean up and remediation must be done wearing the proper PPE safety equipment to ensure we can get the job done without putting ourselves into harms way. Also, homeowners should not inspect their own attic, it's just not a safe thing to do. The first step in the attic remediation process is to remove any contaminated insulation which may carry bacteria & hazardous animal feces. After everything is sucked out of the attic, we then sanitize to get rid of bad odors, followed by installing new insulation. The process generally takes a full day with a medium sized home, which is pretty quick considering how much insulation is removed. If you have an animal infestation in your attic, especially raccoons, you may want to consider not running your bathroom fan vent (such as the one you would turn on for a shower) because raccoons will tear open the air ducts to these vents if they run through the attic, causing insulation particles that carry the bacteria or round worm eggs to come through the vent and into living quarters. You do not want to take any chances and somehow breath that material into your lungs, so that is a small bit of advice we give.